Four teenagers were killed and a fifth sustained severe injuries when their car crashed into a tree in East Bridgewater in Plymouth County, Massachusetts, on Saturday afternoon. In a release, Plymouth County District Attorney Timothy Cruz said the accident happened at around 4 p.m. EDT along the busy Route 106 in the area of 558 West Street. He said police and firefighters rushed to the spot as soon as they received multiple 911 calls, Boston Herald reported. When they reached the spot, they found the car with five men inside. Three of the passengers were pronounced dead at the scene. The other two were taken to a hospital. However, one of them died at the Brockton Hospital in Massachusetts. The fifth man, who sustained severe injuries, is getting treatment at the Boston Medical Center. There is no information available on his condition. An eyewitness, Susan Burns, said the fifth victim was able to walk. “The police officer got here and we rolled one over and the one that was ejected out of the car and we started CPR,” she said, adding that while carrying out rescue operations, she noticed another passenger still breathing in the wreck. “I couldn’t get to his chest so I left him. I left him there,” she said. A local resident, Rocky Savino, said the car was driven rashly. The vehicle entered his front yard, damaged its stone wall, and also hit a neighbor's porch before ramming into the tree. “It sounded like a truck. Like a big bang. Like two, three bangs,” he said, NBC Boston. The East Bridgewater Police Department and the Massachusetts State Police are jointly investigating the accident. Cruz said the officials are investigating in all angles. They are considering several factors that could have lead to the crash, including the car’s speed, rainy weather, and also the driver’s experience, he said. "It's very early in the investigation, and there's a lot of work to be done," he added. "This is a tragic, tragic situation, and we hope that any and all younger drivers that may be out there for any reasons at this time of year, this festive time of year, that everybody is careful and goes slow and remembers that their parents love them," Cruz added. "And when they tell them to please go slow, do that." 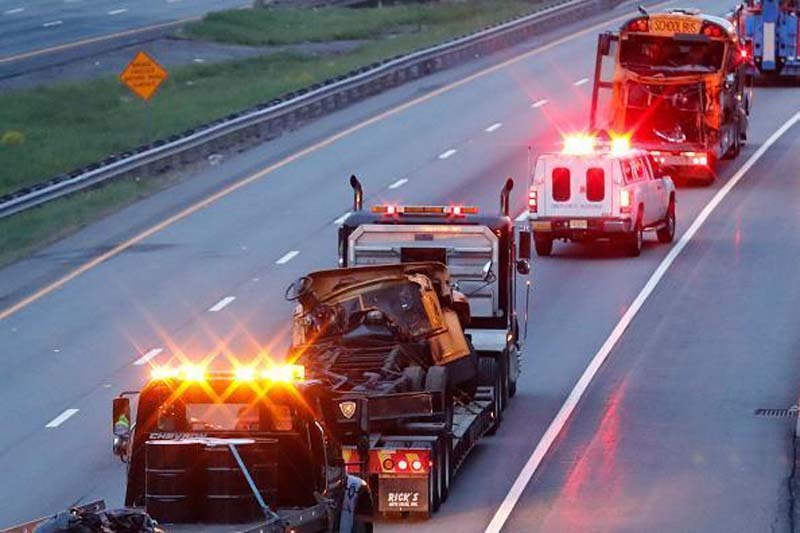 Earlier this month, a woman died in a car crash on Route 106. When the Plympton Police arrived on the spot near County Rd., they found the woman trapped inside a Nissan SUV that had partially overturned. Diane Giordani, 52, was pronounced dead at the spot.